Line One Distributors are the largest source of Jet Ski Spare Parts & Accessories in Europe – Fact! 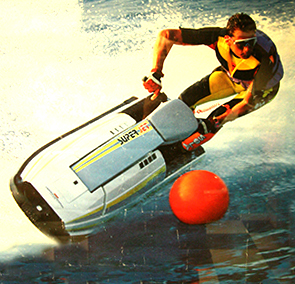 We have been supplying Jet Ski Parts for over 25 years to both the trade and retail customers. We are not just a half-way invoicing house who source products when we receive an on-line order, our warehouse is always extensively stocked with all the latest Jet Ski products, so when you place an order with us you can guarantee your order will be processed, professionally packed and despatched within 24hrs. Once you’ve dealt with us for your jetski spares and experienced our high level of service we’re sure you’ll use us again and again. The Team at Line One. 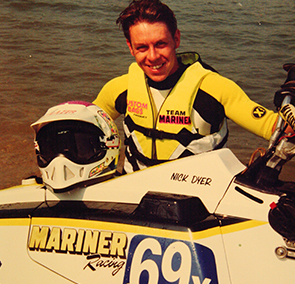 Jez started working in the hire department for Jet Ski UK at the age of 21 in 1985. Won the Novice Jet Ski Championship in 1986. Set up the spare parts distribution for Jet Ski UK in 1990 and in the same year won the UK Jet Ski Freestyle Championships. We’ve been the largest Jet Ski parts and spares source in Europe since the 1970’s – over the years our brand has grown, adapted and strengthened as we have. We’ve just been through the extremely exciting process of rebranding again. Learn more about our rebrand by clicking on the link below. Our Head Mechanic Nick Dyer is one of the most respected PWC technicians in the industry. Nick has now been working on Jetskis for over 20 years, so you can rest assured that the work is being carried out by one of the best.